Meetings at Dragon Hotel01686 668359work Meeting RoomThe Dragon Hotel conference and meeting room has a wealth of exposed beams and a bright airy conservatory to one side. The Dragon conference and meeting room will seat up to 60 lecture style or 30 around one table. Newly refurnished room with a wealth of exposed timbers and a bright and airy conservatory to one side, ideal for informal syndicate groups. 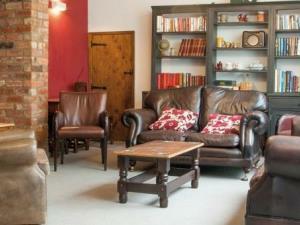 The Dragon Hotel conference and meeting room has a wealth of exposed beams and a bright airy conservatory to one side.